The approved Drum, Pail and Bottle Pumps are ideal for dispensing your AHP® solution, ensuring perfect measurement each time. These can be used with Ready to Use (RTU) solutions (no mixing), or Concentrated solutions that require mixing. Test Strips and Workplace Labels are available. Ideal for use with AHP® Concentrated 1 gallon bottles. The pump can be used to dispense 0.5oz (full pump) or 0.25oz (half pump). 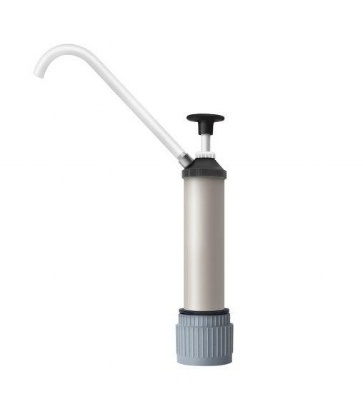 The 0.5oz hand pump can also be used on 5 gallon pails with the addition of an adapter kit. The 8oz hand Pump is a quick and easy way to dispense AHP® Ready to Use (RTU) liquid from a 5 gallon pail into a 32oz bottle with sprayer. 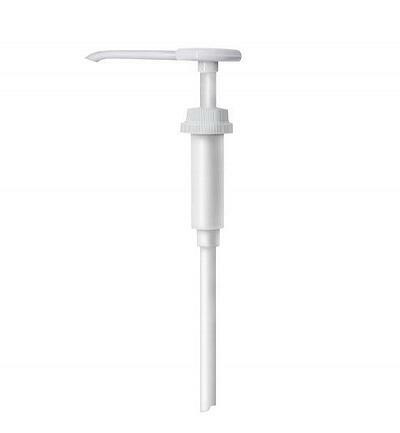 The Drum Hand Pump is used to dispense a specific amount of AHP® solution from the drum into a secondary container. Test strips and workplace labels are available. The Wall Mount Dilution System facilitates a calculated combination of concentrate and water for desired dilution from the original container into a secondary container. 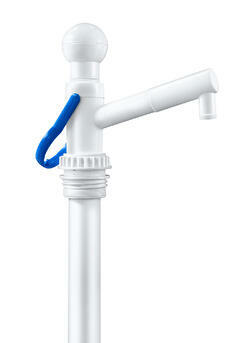 Wall mount systems comes with a variety of dilution tips and is offered in 1, 2 and 3 ball valves.